This book examines comments by Pope Emeritus Benedict XVI in Light of the World regarding the recent Vatican instruction “Concerning the Criteria for the Discernment of Vocations with Regard to Persons with Homosexual Tendencies in View of Their Admission to the Seminary and to Holy Orders,” which deals with homosexuality and the priesthood. This book demonstrates that Pope Emeritus Benedict XVI's comments on this issue have been consistent both within his pontificate and while he held office at the Congregation for the Doctrine of the Faith. 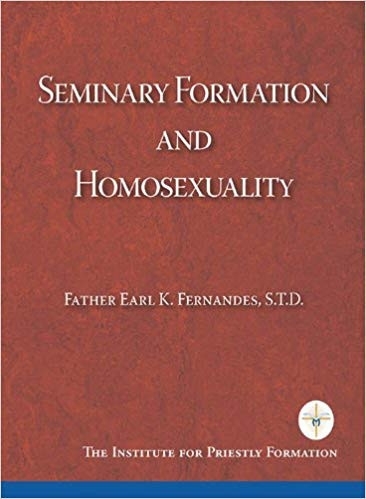 As sexual mores have changed in the culture, attempting to 'normalize' homosexuality, the Church has developed guidelines for seminary formators, culminating in the instruction upon which Benedict commented.